Tell me world.. Who am I supposed to be? ..I don't know about you but I feel a bit lost. I know that I want to see a bit more of the world, and that's all well and good but in terms of career paths, I haven't the slightest idea what to do! Admittedly there is a few organisations that can guard you like National careers advice but on a general note, they only provide path ways of interest. Generally I only know that I love fashion, I love to write, I love to make people look nice by choosing outfits and that is it.. Is that enough? 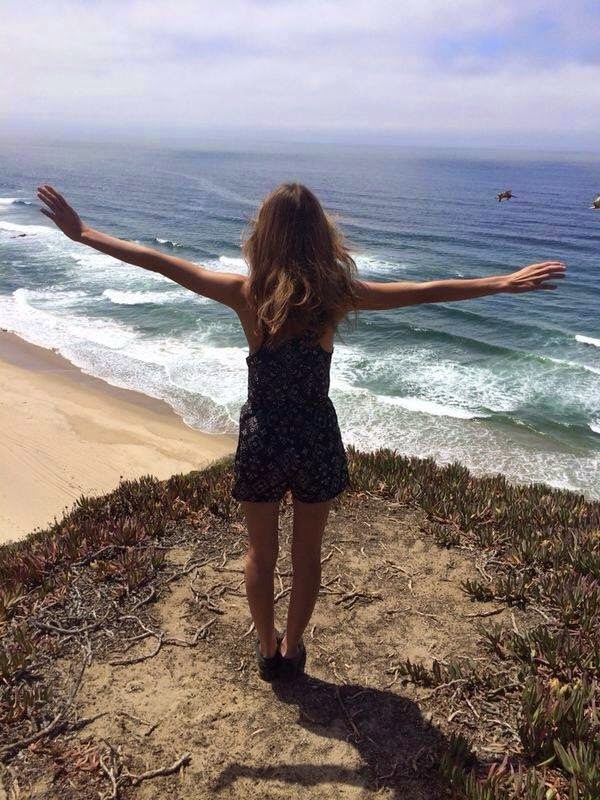 Here I am, on the cliff side along the Californian coast line.. I was tired, I wasn't fresh, I had dirty hair, no make up.. But I was content in the moment that I could be saved by something up there and that it could all work out in the end. Surely? Or I'm just being naive. My uncle visited my family recently. I had weeks left of my job, I couldn't sleep because I felt anxious with complete worry and as soon as I saw him, gone. My uncle Pat lives on a terrific boat in Greece "I don't even need to buy soap.. Change in my pocket, food and a good swim' - this made me realise that in the end, things will work out if you always intend on it too. Money isn't everything, it is only a bonus. If your intentions are always positive - in every aspect. If you thrive for ambition.. Then vote Labour. Okay, okay, I'm joking...... ish. Maintain a good heart, a sense of ambition, change whatever you aren't happy with in your life today. Don't wait around for anything to happen because you're the only person who can truly make yourself happy. I want to be happy. I want a job that doesn't feel like work.. So what If I don't know what I will be 'when I grow up' I'll get there, I just need to make sure I don't give up before I have even found it. In the meantime, surround yourself by the priceless factors in your life like family, friends.. the people who love you.